As noted in our recent “Best of Western Game Music” article, the music of World of Warcraft has been on a bumpy journey since its origin in 2004. Certainly the games have reached an iconic status over the last ten years, and the music has been constantly updated to fit the corresponding game’s mood and style; often progressing, but at times lapsing back into the clichéd, commonplace epic scores. At worst, the music has met the minimum “epic score” qualifications, bringing in sweeping strings and stately brass without music in the way of substantial or connective thematic material. 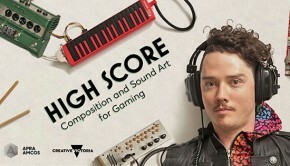 At best, the music has brought new flavor to the constantly evolving games. Thankfully, Warlords of Draenor falls without question into the latter category, bringing in a slew of new themes and moods on rich, lush instruments, but with incredibly vibrant and distinctive tracks. While a few themes bind the track together, the real beauty of this score lies in the diversity of music across the nineteen tracks that each contribute to the thoughtfully composed album. 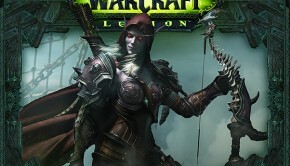 Warlords of Draenor is composed by several composers, many of whom actually contributed to the instrumental and vocal performances in the score. Russell Brower and Neal Acree are perhaps the more recognized names from the series, but composers Clint Bajakian, Sam Cardon, Craig Stuart Garfinkle, Edo Guidotti, and Eimear Noone all have made names for themselves in the game music world through different accomplishments. Warlords of Draenor makes for a successful game as well as a successful score. The music blends together a massive range of styles to create a unique classic album with just enough themes to bind it together as a cohesive score. True to the tradition of the series, the physical soundtrack was available with the collector’s edition of the game and a digital release is available through iTunes. The first track in the album is a giant medley spanning twelve minutes in length. “A Siege of Worlds” opens in the expected manner of a World of Warcraft album, with heavy percussion, low brass, and low male vocals. It’s not until a few minutes into the song that we begin to see something more distinctive. As a medley, I expect the theatrical opening to eventually become subdued, and indeed it gradually decrescendos and gives way for a flute solo. After the solo, the first truly characteristic theme arises out of soli strings and some added brass, and from this point on, the medley becomes far more unique. The themes are deep, and the medley does not feel contrived anymore, as if the composers had simply thrown together pieces of contrasting moods, but actually like a tapestry of well-woven ideas that are meticulously blended together. It did what an opening medley should do: it brought out my curiosity about the music – and the game – that I was about to experience, wondering what each portion could represent, and how each one would be developed. It’s not the opening of the album that gives the score its brilliance, and neither is it the most dramatic tracks. Upon first listening to a score on its own, I often take some other work with me to complete while listening to the album straight through. This gives me some time to digest the music before listening to each track individually. During this first listen-through, I rarely look at the album, instead getting a feel for the score as a whole and listening for development or continuity. Very occasionally, I will look to see which track is playing if something in the music stands out in some way – this way, I can write it down and go back to it later. For most scores, this rarely happens more than once, if at all. When I first heard this album, several moments stood out to me – by the end of the first listen-through I had written down several track names to go back to. Amid the between the dramatic percussion and ominous brass and strings, there is a whole lot in this score that is strikingly beautiful and gentle. One such piece is “Old Growth,” a dark, murky piece with a delicate oboe solo, eventually becoming an equally delicate oboe-flute duet. The melody actually sounds very similar to the Arabian Coffee Dance from the Nutcracker Ballet, although it eventually heads off in a different direction. 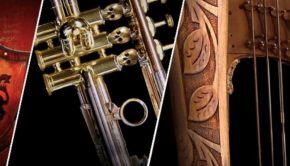 The piece is a mesmerizing one, however – the tantalizing melody is the only one of its kind in the album, and while the piece does boast moments of brassy energy, the eerie moments of delicacy stand out significantly in the score. “Lifeblood” was another stop-and-check-out-the-name track. Opening with an innocuous series of chords and instrumentation, the piece culminates ends with a choral progression that is truly striking. This is actually one of those themes that I wish I heard more frequently throughout the album, simply because it is so moving. The theme is realized through first low brass, then soprano vocals, and then an entire orchestral setting. The moment does not last long, but it makes for a powerful ending to the penultimate track. In fact the fleeting moments of thematic beauty are, in a way, the driving force behind the success of this track. The second track of the album, “We Will Be Conquerors” opens with a rapid ebb-and-flow of choral motion before the piece begins in earnest. I am disappointed when those seconds end; once the swell of the choral opening is over, the piece begins an undistinctive march rhythm that, while certainly not bad, does leave me missing the exotic twenty second opening. The piece moves away from the march as abruptly as it began; a flute and string melody, reminiscent of the theme from “Old Growth,” end the piece on a powerful and somber note. Not all of those moments are so fleeting; “Visions of the Prophet” is a more tranquil piece, and could perhaps be mistaken as an aimless one, featuring a series of instruments from flute to harp to solo violin – but in alto range. While the piece is certainly subdued, and retains a somewhat wandering quality (studded with rests, double stops, and fermatas), the solo melody that eventually takes over it comprises of a definite structure, along with a melancholy tone that fills the whole piece with a measure of wistfulness amid its nomadicity. “Allegiances” brings continues the theme of the melodic minor scale throughout the score; while the scale itself is often use cheaply, as a gimmick to evoke the exotic in fantasy or foreign games, I loved its use in this particular score. “Allegiances” begins with fragments of melody that are neither dull nor enthralling. In fact, I found myself only curious about the piece until about two minutes in, an almost waltz-like pattern briefly emerges, reminiscent of the opening of “We Will Be Conquerors,” and I found myself captivated. In the style of many of the other tracks in this album, the piece then quietly shifts the mood to a more distinguished setting, but does not end in this manner. An oboe plays a variation of the “Old Growth” melody, and the piece fades away into obscurity. 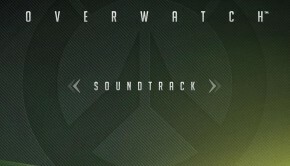 Every track on this album seems to contribute to the integrity score in some way – it is difficult to find a track that seems to exist just for the sake of adding music to an otherwise silent portion of the game. “Family” begins with a warm string solo and evolves into a lively jig, albeit with wonderfully jarring dissonance and distortions. “Ancestors” sounds like the inside of some distant cathedral, somehow mixed with a nameless song out of Lord of the Rings and an Eric Whittacre piece. It’s not as conspicuous (or lengthy) as several of the other tracks on the album, and perhaps not as evocative, but it is undeniably unique. “Iron Dawn” is a more typical track from the album, but in a score so full of distinction, “typical” is hard to define. The piece is a soft but powerful and stately string-and-vocals combo, but with a haunting melody, gradually crescendoing to the dynamic conclusion with added drums and bursts of brass. From the softly pulsing flutes of “The Homeworld Beckons” and the decisive choir of “Sacrifice,” each track brings something to Warlords that no other track does. While the risk with this type of approach is the potential lack of continuity in the score as a whole, this album does not seem to have that issue. Perhaps it is that just enough of the pieces have thematic ties to other tracks, or perhaps it is the sheer quality of performance, or the thought put into each piece, but this soundtrack works extraordinarily well as a whole. I once had the fortune of sitting down and speaking with Eimear Noone, one of the seven composers of the score as well as one of the solo vocalists, several years ago while she was conducting the first Legend of Zelda: Symphony of the Goddesses in Texas. One of the things she spoke about was how much she loved the enthusiasm of video game music fans in the symphony hall, who would cheer wildly at the beginning and end of each piece in the Zelda symphony (a reaction considered unusual, even rude, in many classical symphony halls). I couldn’t help but to think about her love of fan enthusiasm while listening to the score. On top of being beautiful, opulent, and varied, the score is also undeniably fun, and would be wonderful to hear live. “Clan Warsong” is a particularly distinctive track opening with guttural male vocals pronouncing the downbeat of each measure. The piece builds on subdivision, with pronounced strings of all octaves playing on various beats alongside a tribal solo line. The piece relies on a constant state of development, with the piece continuously progressing and building on previous rhythmic material. Halfway through the track, the rhythm abruptly shifts and a low string solo begins an ostinato that essentially lasts for the rest of the piece. The ostinato is a subtly disquieting one, maintaining a dark consistency while the other instruments and vocals shift from chant to chant. My favorite piece is “Tides of War,” the closing track of the album. The piece opens modestly, with a string solo that, while rich and passionate, would be relatively undistinguished if not for the piece’s progression. The solo develops beautifully into a gorgeous theme that lasts all of about ten seconds, and quickly falls away again. The piece hesitates for a moment before beginning a dance-like pattern simultaneously wild and measured. What I love so much about this piece is that the progression is fascinating to listen to and follow; the rich string solo, while beautiful, is something frequently heard in scores, and expected in most classically oriented pieces. The tribal dance is more unusual, but the rhythm itself is not particularly strange. As the piece continues, the familiar instruments are met with pipes, wordless vocals, and plucked nameless strings. By the end of the piece, nothing has disappeared, but every voice in this conglomerate orchestra has been added to create a perfectly feral musical conclusion. I was completely enchanted upon first listening to the album; this score is a gem in the mass of music attributed to the World of Warcraft games, and I was very pleasantly surprised when I realized that I was struggling to narrow down the number of tracks to write about. I was excited at how intricate and vibrant the music was upon first sampling it, as well as how much more there was to it upon subsequent listens. 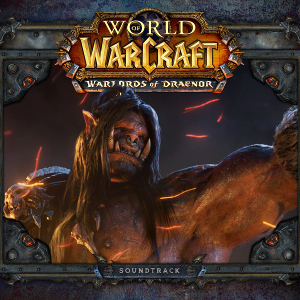 Warlords of Draenor is absolutely worth checking out as one of the best game scores of 2014 – with its rich diversity, there is something in this score for every game music fan. Posted on January 6, 2015 by Emily McMillan. Last modified on January 6, 2015. Thanks for the shout out to the Best of WOW article Emily 🙂 Great review, really looking forward to listening to the score now to see how the franchise keeps evolving musically!